Only in Texas! Giant cowboy boots at North Star Mall. 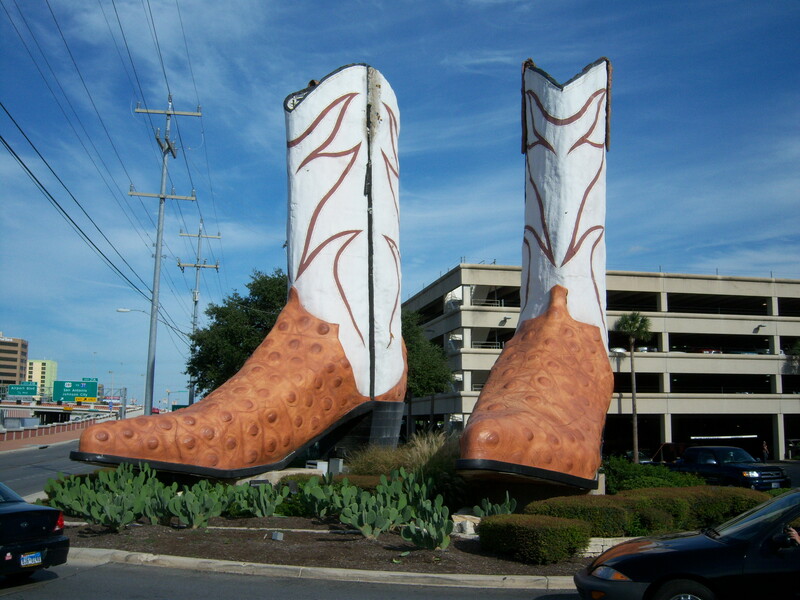 San Antonio, Texas, like every large city, has its share of shopping destinations, but North Star Mall is one of the city’s best places to part with your hard-earned money and the only place that has a giant pair of cowboy boots set out to welcome you. North Star, which is on NW Loop 410 between the San Pedro and McCullough exits, turns 50 this year, 2010, and it has aged well. Anchored by Macy’s, Dillard’s, Saks Fifth Avenue, JCPenney and Forever 21, North Star Mall has approximately 185 tenants. Abercrombie & Fitch, The Disney Store, Ann Taylor, Gap, J.Crew, Talbots, Victoria’s Secret, Armani Exchange, Fossil, Guess?, Nine West, Steve Madden, Apple, Pottery Barn Kids, Williams Sonoma, Godiva Chocolatier and more offer something to suit every age and disposition. 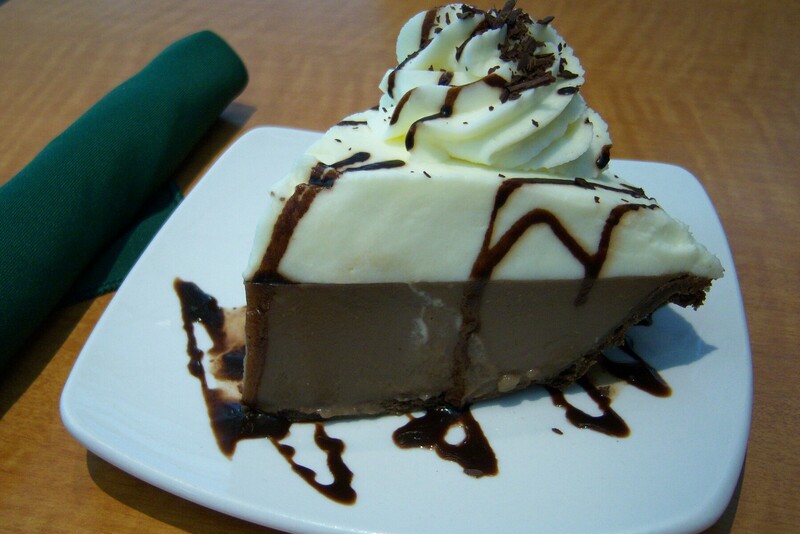 What's not to like about a slice of Luby's chocolate pie? My favorite thing to do at North Star Mall is to walk from Dillard’s on the McCullough side to Macy’s on the San Pedro side, people-watching and bargain-shopping along the way, before ducking into Luby’s for a slice of pie to shore up my strength for the return trip. When I asked one of the cosmetic ladies at Dillard’s the distance between her store and Macy’s, she said, “Long.” But how long? According to Google maps, the distance between San Pedro and McCullough is approximately half of a mile, so you’ll log a mile if you walk from one end of the mall and back, and that doesn’t include detours along the way. Find your perfect red lipstick! My best friend and I made one such detour this summer. For my birthday, Amy gave me the book “Getting the Pretty Back: Friendship, Family, and Finding the Perfect Lipstick” by Molly Ringwald of “Sixteen Candles,” “The Breakfast Club,” and “Pretty in Pink” fame. 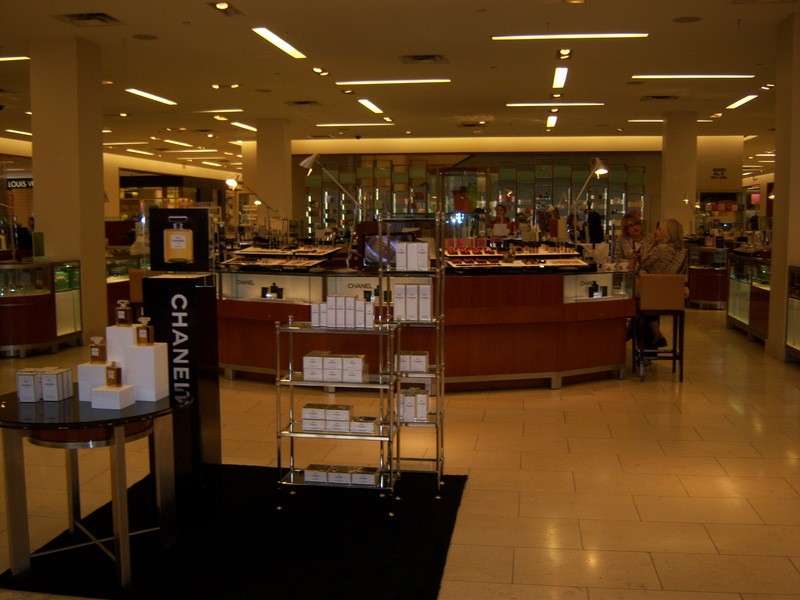 Ringwald encourages her female readers to find their perfect red lipstick, “the holy grail of lipsticks,” so Amy and I set out to do just that at the Chanel counter at Saks Fifth Avenue. After trying on a multitude of reds, Amy settled on “Paris” and I chose “Gabrielle”. Even though I don’t wear my red lips every day, I must say that it’s fun to have an oh-so-chic Chanel lipstick tucked away in my purse, at the ready to transform me from mousy to marvelous. Plus, it’s a wonderful reminder of a great day spent with my sweet, thoughtful friend. North Star Mall is open from 10 a.m. until 9 p.m., Mondays through Saturdays, and noon to 6 p.m. on Sundays. Their phone number is (210) 342-2325.